Isn't this lovely? 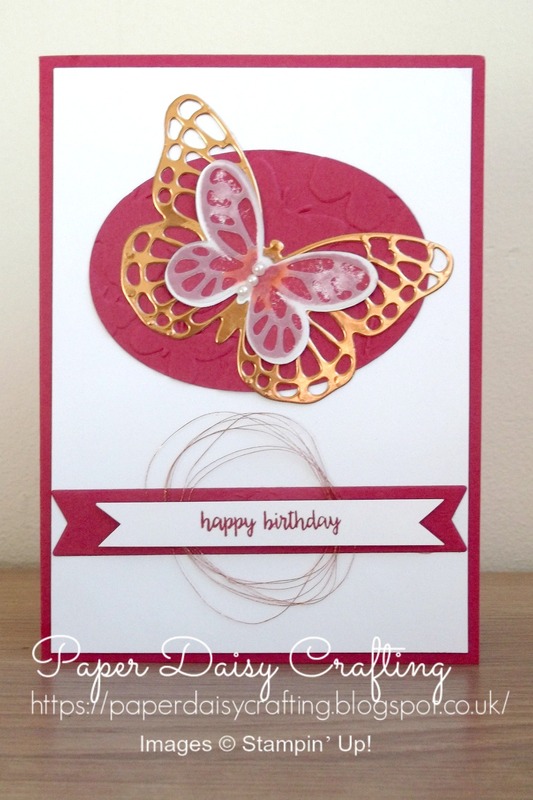 I have used a much neglected colour for my card today - Rose Red - and have combined that with Whisper White and Copper Foil. 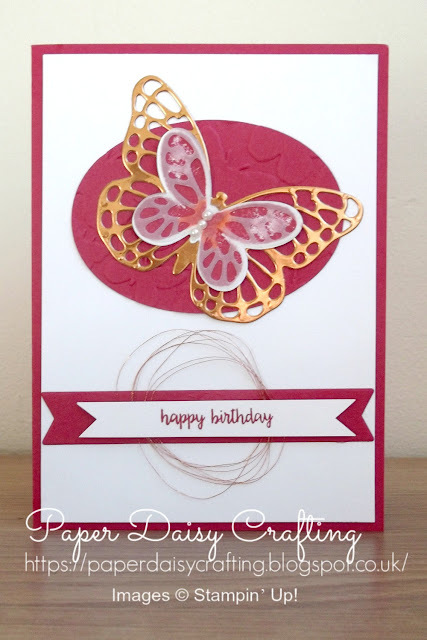 So many nice touches on this card - the subtle embossing on the oval panel, the looped copper metallic thread and the vellum overlay on the butterfly. 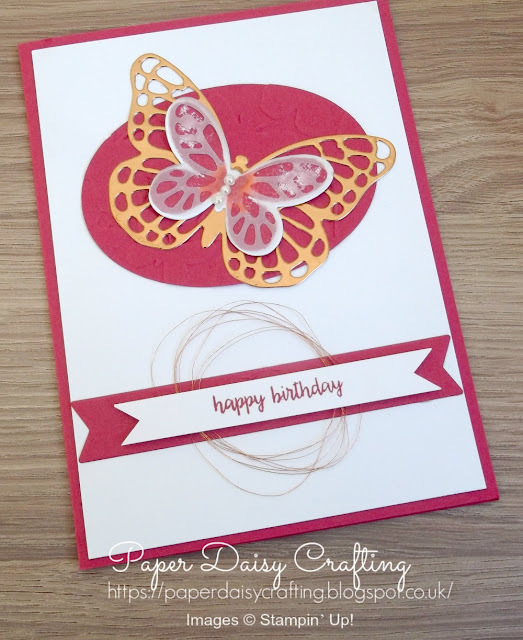 And I have been asked to run a class with the theme of butterflies so this card might be included in that!